PA terrorists have figured out a new way to make a living – by stealing air time charges through prank calls to unwary Israelis. Terrorist groups have figured out a new way to make a living – by stealing air time charges through prank calls to unwary Israelis. The phenomenon can be identified by noticing whether the call came from the "059" area code and whether the call was cut off after only one or two rings, clearly making it impossible for you, the person on the receiving end, to answer it in time. Terrorists order a certain type of phone line and place a call to an unwary Israeli, hanging up before the person answers. Often, the call is placed at an odd hour – at 3:30 a.m., perhaps, a time when someone might wonder whether there has been an emergency in the family. 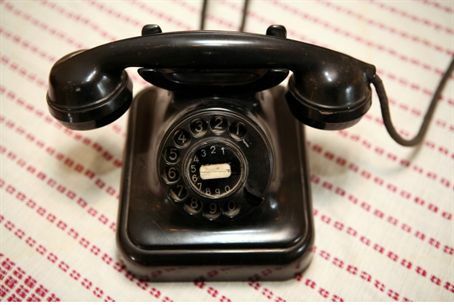 After one or two such calls, the Israeli usually ends up calling back by dialing *42 – the code to dial a missed caller. The person on the other end of the phone picks up, but says nothing for several seconds --- and then disconnects the calls. Figuring it was a bad connection (not an unusual problem in Israel, unfortunately) the average Israeli will then call back several more times until finally giving up. But by then, the damage is done, and a fair amount of money has changed hands, although the victim doesn't know it – and might never even find out, unless he checks his phone bill. Anyone can order a special phone number in Israel from a variety of companies – Orange, Cellcom, MIRS, Pelephone, and even a Palestinian Authority company, which has the 059 prefix. However, although the customer is charged for the air time use of what appears to be a mobile phone, these special lines are not actually cellular phone numbers, but instead, are numbers connected to land lines. The mobile phone company receives 50 percent of the charge for the incoming call, and you, the owner of the line, get the other 50 percent of the money, all on the caller's account. Pretty good trick – Hamas terrorists in Gaza sit at a phone bank, or program their computers to dial random Israeli numbers in the dark hours of the night. When the source shows up on the Caller ID, it appears as a “cellular” phone number. They earn a 50 percent profit on the air charge for the callback and a priceless profit on the stress they cause their victims, stealing some of their sleep and possibly their serenity as well. It turns out that one can purchase from the Bezeq company a device that blocks calls to the 059 prefix. However, it is impossible to block such incoming calls. Best bet: (1) stay informed on consumer affairs, especially as they affect the communications industry, and (2) do not return phone calls to numbers that are unfamiliar to you, if the phone has only rung twice or the caller has not left you a message on your voice mail. If something is really important, someone will either leave you a message, or will call you back, and keep calling until you pick up the phone.